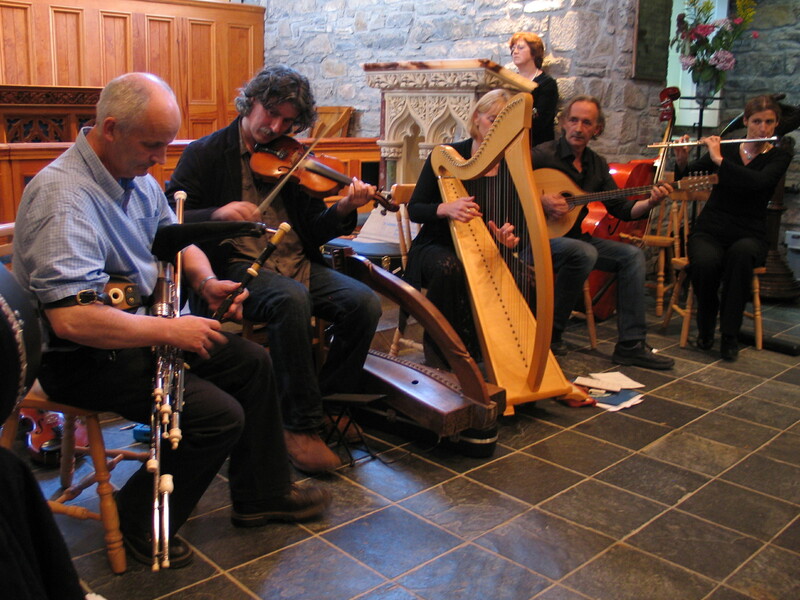 ‘Cultural Research’ and ‘Ireland’s Music in Context’ are two phrases that have become synonomous with the the work of Tale of the Gael in recent times. We are very proud of that, as we devote a lot of time to sculpting history and music into a performance that rolls off the stage as something that informs as it entertains and in some ways draws diverse strands of the same culture entity together. It can be history laced with song, or dance music edged with poetry, it can be a gentle Carolan piece spiced with anecdote, and it will always tell a tale of the Gael. 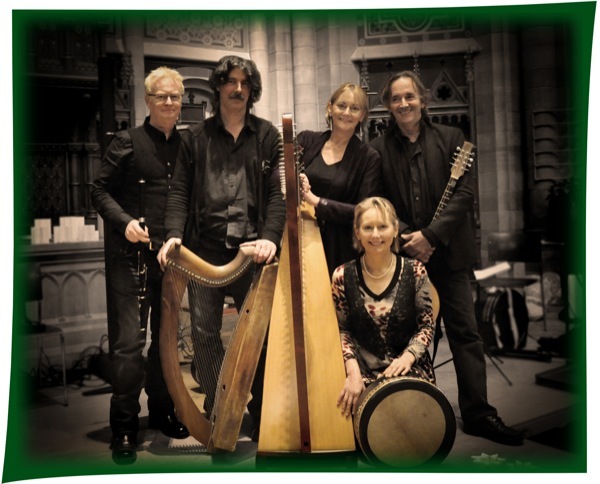 Just Music…Tale also plays events that are purely musical…a mix of Ireland’s finest dance music, songs, 18th century harp music and contemporary pieces… for events that don’t require the spoken word, but do require a finely blended, non-intrusive repertoire of Irish music. That all sounds lovely. I searched “YouTube” for a rendition of “Miss Hamilton” and found you there on Martin Byrne’s posting. I am trying to learn that tune on my harp. I love it! Thank you for your version of it. I’m SO glad to have found you have a website up now. My family of 6 along with 3 friends went to Ireland in 2000, and on July 4 we stayed at Castle Leslie and ate dinner there. The entertainment for the evening was The Tale of the Gael. We were enthralled. If I correctly recall, there were two women playing the harp and a gentleman reading/reciting. 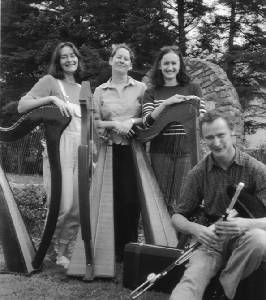 Since then, I have told others of your performance, and periodically searched the Internet for information about you, and hoped to find at least an excerpt from the story you told of the harp and of the people of Ireland. Last evening I was telling a friend about your work, and I afterward tried the search again. And here you are! I,m so glad! Please consider posting a small excerpt of your work in video.